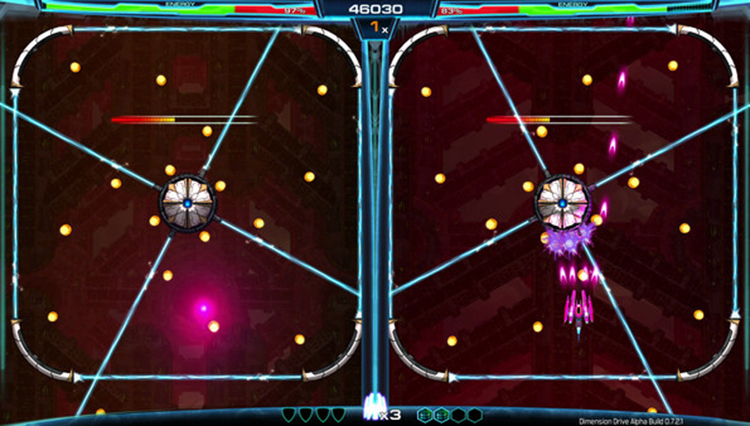 Dimension Drive is a space shooter that challenges your skills in entirely new ways. Play two games at once on this dual battlefield madness set on a comic book universe! 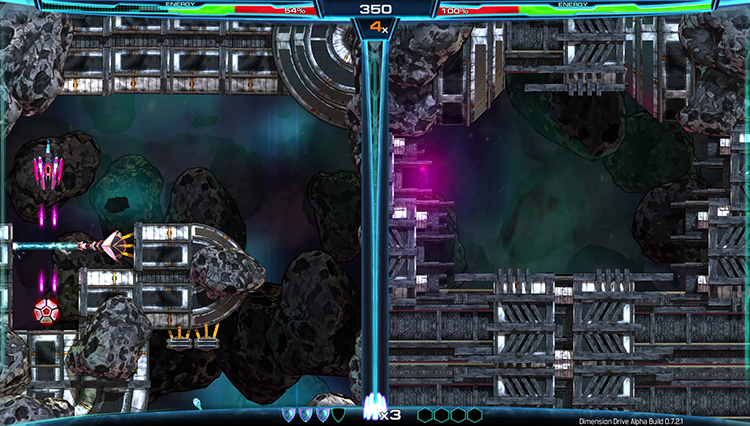 Dimension Drive is a Dual-Battlefield space shooter with a teleportation mechanic. 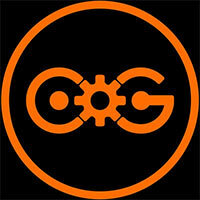 It seamlessly combines shooting and puzzle mechanics. 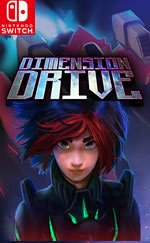 Dimension Drive will teleport you into a comic book styled sci-fi space opera set in a multidimensional universe. The Ashajuls, a cruel multidimensional alien race, are attacking our universe. Fight as Jackelyne Tywood (a.k.a. Jack) in The Manticore, a legendary ship capable of teleporting across space and dimensions. Uncover the mysteries of your past and the origin of the Dimension Drives with your trusty friend and A.I., "V.E.R.A. ", at your side. Dimension Drive does offer up some compelling ideas to vertical shmups, but the focus seems to be too much on those aspects. The actual shoot ’em up part is merely ok at best. It’s less about shooting, although there is plenty, and more about trying to navigate a maze; the shooting and enemies feel secondary. It plays more like an entirely different game that looks like a traditional shmup, instead of a shmup with some different mechanics. It’s a decent game, just maybe not what you might be expecting. Dimension Drive takes a commonly held problem in vertical shooters on home consoles, and turns it into a fun gameplay mechanic. It takes a fair amount of getting use to, and at times it becomes evident that there is definitely some room for improvement. In general however Dimension Drive offers some fun twists that fans of the genre will absolutely want to try out. 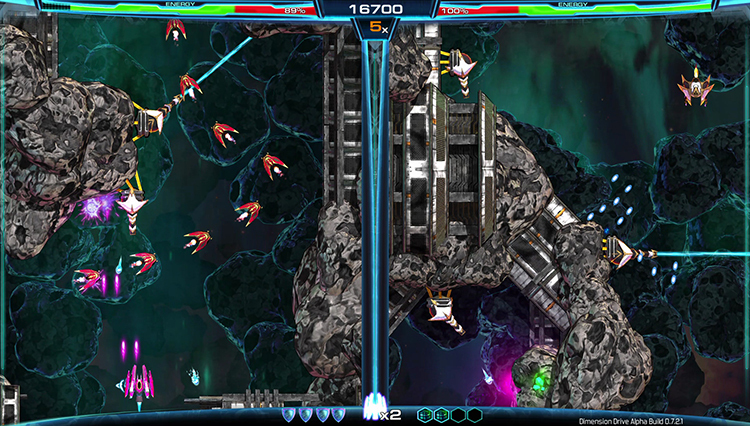 The concept of Dimension Drive offers a unique style of gameplay that would melt most brains with the frantic on-screen action, particularly as players have to navigate two different set of maps at the same time on the same screen. 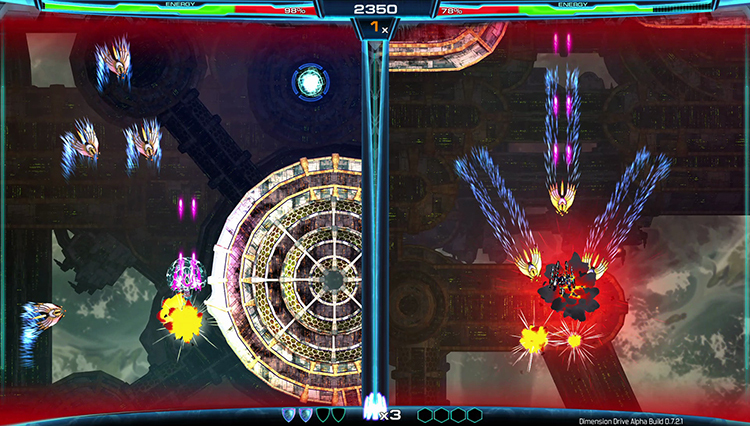 From the outset, this particular feature will overwhelm many who aren't familiar with shoot 'em ups, yet with dedication and time, Dimension Drive can offer a gratifying experience once the powers and abilities have all been mastered. 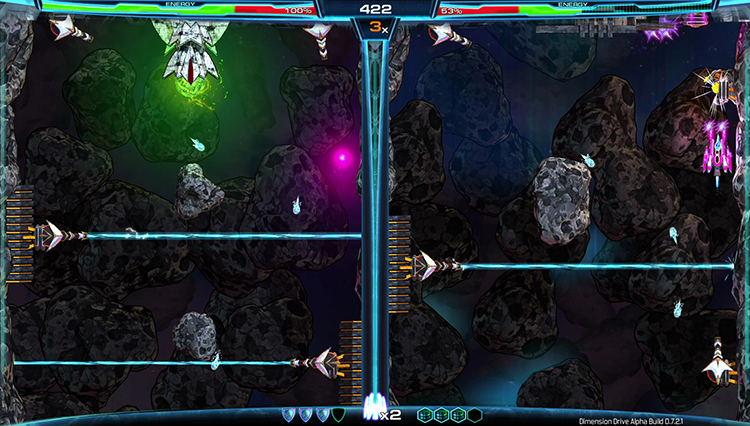 Dimension Drive demuestra con su propuesta jugable que todavía puede haber un resquicio para la originalidad dentro de un género clásico tan trillado como el del shoot'em up de scroll vertical. El matamarcianitos de toda la vida ahora nos obligará a tener unos reflejos sobrehumanos para poder estar pendiente de forma simultánea de las dos secciones de juego a cada lado de la pantalla. Hemos jugado a bastantes shooters más frenéticos y vibrantes que el que nos ofrece 2Awesome Studio. 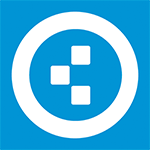 Pero es justo ensalzar su principal valor, su originalidad, un estilo dual que si bien no terminará de convencer a todos los usuarios (sobre todo a los más puristas), siempre es interesante encontrarnos con innovaciones en géneros tan clásicos como éste. Será talvez essa a grande conclusão de Dimension Drive: um jogo que investe tanto na sua mecânica de passar de uma dimensão para outra que deixa tudo o resto pelo caminho. Funciona bem e com fluidez e consegue deixar no jogador uma certa motivação para ir mais longe mas é preciso realçar: quem não aprecie “shoot'em ups” de dificuldade exigente vai andar às aranhas e a experiência rapidamente se torna frustrante.